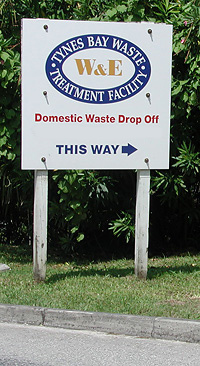 The Public Drop-Off is located right above the Tynes Bay Incinerator on Palmetto Road in Devonshire (Just look for the `smoke stack`). 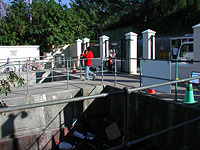 The Public Drop-Off will accept all sorts of waste including oil, glass, hazardous waste, furniture and household garbage as long as it is brought in by a private resident in his own vehicle. If you are driving a Van, the sign below says it all. (Sign posted at the Drop Off Facility). It also stipulates the amount of refuse acceptable per vehicle. 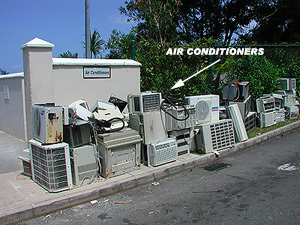 Not mentioned on the posted signs is the acceptance of air conditioners at the Drop Off Facility. All other large appliances be taken to the Airport Dump for Disposal.